There are a lot of ways people are a part of the Tulgey Wood community. Every year about thirty five of us gather on Nantucket. We have people in the community loan us vehicles, cook us meals, show us around the island, take photos, let us use space for our events, teach yoga classes. The list goes on! If you have something to contribute or if you would like to find out if there's space to join us, please fill out this form. 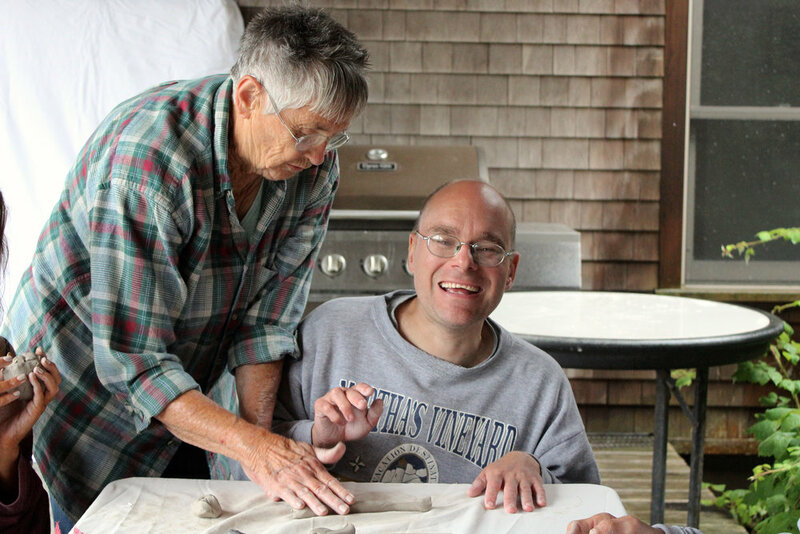 A pottery class - which we're fortunate enough to have most days! At the beach after a donated lunch from Hungry Minnow!